Launched 20 years ago as a wholesale and retail vendor of stone materials, our company has always been geared towards promoting and tapping the potential of alabaster. 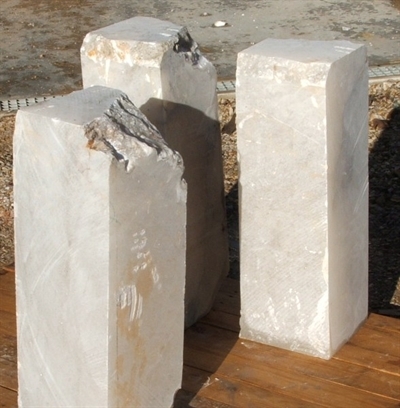 To begin with, we sold alabaster almost exclusively to the workshops of Volterra, but over time, with the opening up and consolidation of overseas markets, we have adopted a less local, more global outlook. Today, we provide proof positive that Italian alabaster is recognised and appreciated the world over. Our company Alabastri Vanzi is able to offer you all the crude stone's valuable qualities: statuary, white/opaque, bardiglio, agate, rainbow, ash grey and so on. Exports in Italy and Europe for small quantities and around the world for container 20".